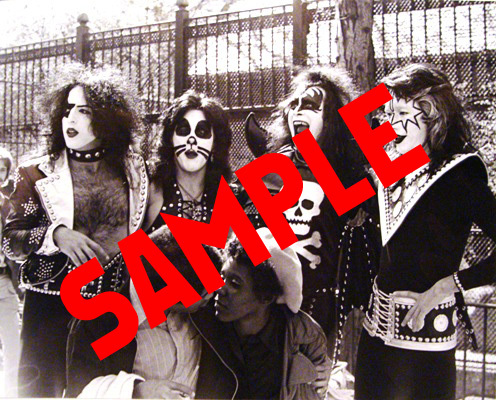 On the afternoon of April 24, 1974, KISS decended upon New York City's famed Central Park to have some fun, ruffle some feathers and shock unsuspecting folks, while creating one of the most unique photo-ops in their history. Misson accomplished across the board; the young band, only 8 weeks into the release of their debut album, presumably got the reaction they wanted (shock! confusion! disgust! ), and one of the few people lucky enough to have a camera on hand that day was a local photography student who literally stumbled upon this scene and just started shooting. For the first time *EVER*, these photos are now being made available to the public by this individual [please note: these are NOT Waring Abbott photos), and KISSROCKS.net is selling them exclusively HERE! This set of 4 images below are available now, and you'll get a FREE BONUS 8x10 from the same day when you order your set (5 8x10s total). 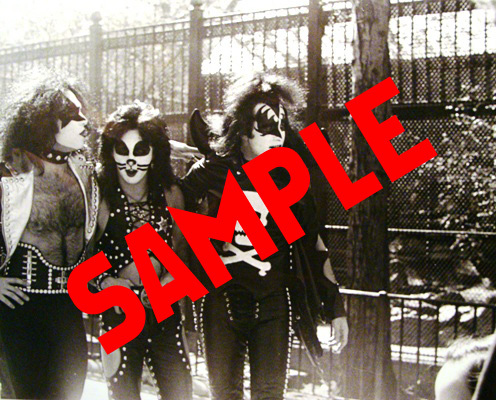 These unique, amazing shots come directly from the original negative and are printed on high-quality matte paper. 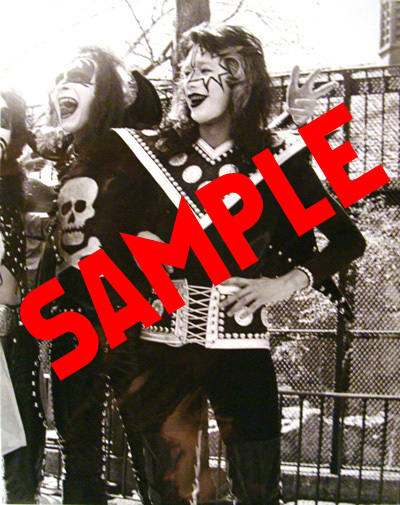 They have just been unearthed after more than 38 years so be a part of KISSTORY and Get your set TODAY! 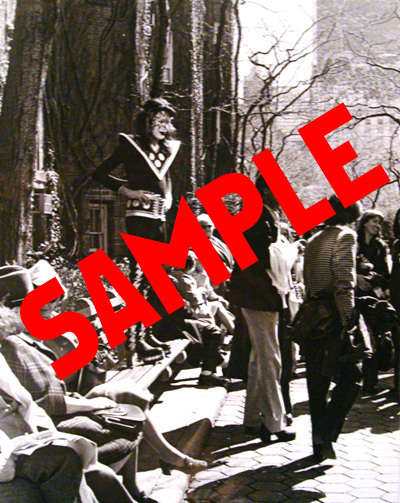 ***$30 SET OF 4 8x10 IMAGES + FREE BONUS 8x10 OF ANOTHER NEVER-BEFORE-SEEN IMAGE FROM THE SAME DAY! FIVE 8x10s TOTAL! - mint condition, $30*** new low price! !